New advancements in technology fuel our drive to create great things. Our goal is to improve people’s lives one technology at a time. 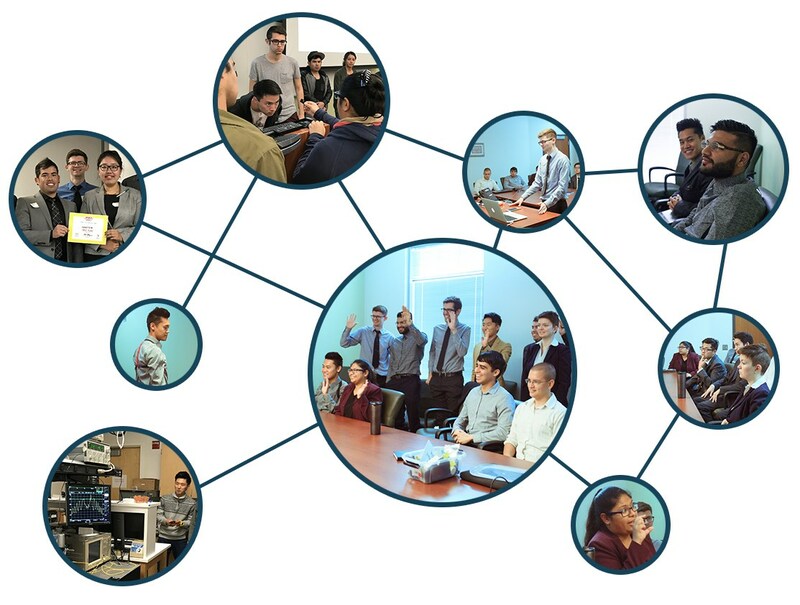 NASA-Cal Poly Pomona Business Startup Program (NASA-CPP) strives to fulfill Cal Poly Pomona’s motto “I’m Ready” by offering students a unique multidisciplinary environment where they collaborate with a supportive team of faculty and students across campus. In collaboration with the Office of Technology Transfer at NASA Armstrong Flight Research Center, NASA-CPP provides students an immersive experience into a fast-paced startup environment where people who are passionate about technology and entrepreneurship come together to create revolutionary and innovative products. Our team works on commercializing NASA technologies and faculty inventions to solve real-world problems and improve everyday lives. The program helps students to broaden their perspective and strengthen their core competencies. As a result of this environment’s exposure, previous student team members have turned into highly competitive talent receiving job or internship offers from top organizations and acceptances to excellent Ph.D. programs. In a short period of time, this program won several awards and grants. This NASA technology commercialization program consists of a talented team of goal-driven and dedicated students who contribute the knowledge that they have obtained from the classroom into the program. We have several different teams that contribute to this startup organization. For example, the engineering team helps build, design, and test our products and prototypes using technology commercialization. The graphic design team creates innovative and creative designs for our products, packaging, website, and mobile applications. The fashion design team creates the design for our physical products. The legal team helps with all the legal aspects including making contracts, non-disclosure agreements, and trademark and patent research. And lastly, the business team is in charge of product development, grant applications and competitions, and market research.